You’ve made it through to the final semester of your Master’s program – the end is in sight! Now, based upon your coursework and all that you have learned, you are ready to begin on your thesis; now, you must develop a hypothesis that is significant and worthy of research; now, you are getting a bit nervous. Will you overlook some important piece of research? Will you fail to understand the implications of any of the research you study? Will you be able to pull all of the research together in a coherent and fluent way in your composition? You Can Obtain Professional Help at TrustEssays.com! If, during your thesis work, you stumble upon any of the “land mines” listed above, expert assistance is always available at TrustEssays.com. 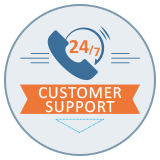 An experienced and fully responsive Customer Support Department will be available to discuss your need, assist you in completing your order for help, and locate the correct Ph.D. academic to collaborate with you. With the background and experience of our Ph.D. writers, there will never be any significant research work missed, the research will be perfectly analyzed, and the final written work will be exceptional in every way. There is never a chance of plagiarism, as our writers work from scratch on each order and our editing department’s software scan would discover it long before it is delivered to you!